On the heels of their PASL team recently being named National Champions, the Cincinnati Swerve organization continues to celebrate as multiple players from their MASL squad have been called up to the USA 6 National Team. Manny Adjei, Matt Kinkopf and Corey Whisenhunt will travel to South Dakota to take on Brazil’s National Team on Sunday, April 14, 2019 at 2:00pm. The trio will also be included in a player pool considered for the USA 6 World Cup taking place in Australia this October. Another notable Cincinnati player being called up is former Swerve forward, Marc Hansson, who played for PASL’s Queen City Sonics this season. With the Swerve since its inception in 2015, Manny Adjei was a dominant force in the backfield this season. Adjei also played at Tiffin University and the Dayton Dynamo, and earned his first CAP with the US National Arena Soccer Team last year. He currently coaches at Cincinnati United Soccer Club (CU/CUP) and is very excited about the opportunity to represent the US this Spring. Manny also believes that “the measure of intelligence is the ability to change” and he’ll certainly have to adapt from the traditional arena play to the no walls format for this first USA 6 National Team game. Also a 4-year veteran of the Cincinnati Swerve, goalkeeper Corey Whisenhunt is “very honored to be selected for the US 6 National Team. I can’t thank my teammates and coaches enough for their role in my soccer career and I’m thrilled to take this next step.” Whisenhunt is currently the General Manager of the Dayton Dutch Lions and played collegiately at Wright State University before playing with a multitude of indoor and outdoor men’s teams throughout his career. Matt Kinkopf, finishing his second year with the Swerve, helped lead the team offensively this season with 7 goals in 9 appearances. Kinkopf feels that “it is an absolute honor to have been selected to play for the USA 6 National Team. I’m so excited to play alongside so many talented individuals and I look forward to representing the US this April.” Kinkopf was a two-time All American at Ohio Northern University and currently coaches at Fairfield Optimist Soccer Club (FOSC). Rounding out the roster of 12 for the South Dakota match-up will be players from Kansas City, Chicago, California and Colorado. Other events are also scheduled throughout the Spring and Summer to assist the coaches in selecting the final roster for the World Cup in Australia. Taking the helm for the USA 6 National Team is Cincinnati Swerve’s head coach, Craig Rhodis. He will be assisted by Chicago Mustangs’ head coach Armando Gamboa and Detroit Waza Flo’s Dominic and Mario Scicluna. 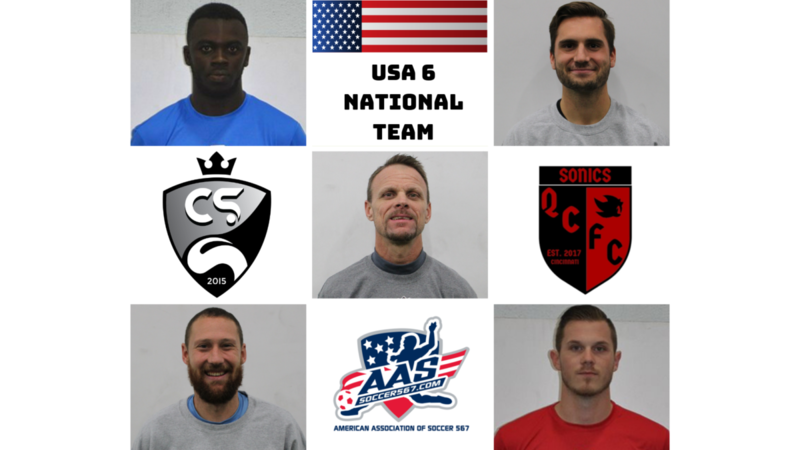 The USA 6 National Team is governed by The American Association of Soccer 567 (5,6 and 7 a side soccer) and is comprised of amateur soccer players playing an indoor, no walls format. The AAS567 is governed by and is an official member of World Mini Football Federation (WMF). 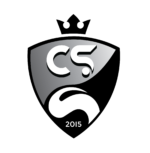 The Cincinnati Swerve was formed in 2015 as an amateur men’s arena soccer team and is run by C925, a non-profit organization that also runs the WPSL outdoor women’s team, the Cincinnati Sirens. The Cincinnati Swerve plays their games at GameTime Training Center in Fairfield, Ohio and currently has teams playing in both the MASL 2 and PASL soccer organizations.